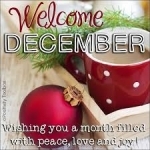 Welcome December | A.B.E. Remodeling, INC.
Hello Everyone and tidings of the holiday season. Hasn't the year just flown by once again. As we move into this new month; May December find you enjoying the times. There's so many activities going on… Parties, get togethers, family gatherings, and so much more. It's wonderful to have great times and we sure wish the best to all of you. However, do stop to reflect on the many blessings you have received this year. Be thankful that we still live in a "free" country and pray that it continues to be that way for the future. We still have the freedom of religion…to worship where we want and of our beliefs. Thanks to those who have served our country for our freedoms. As we enter this most wondrous time of the year, we are also reminded of those less fortunate than others. We are reminded of those who lost loved ones and continue to mourn as others hustle and bustle to getting the "perfect" gifts. We are reminded of all those suffering life threatening illnesses including the children. As I reflect on the upcoming Christmas, I am so thankful for the blessings given us along our journey and I pray that those needing a special touch of love or kindness receive it, even if it is in a most unusual way. For the days this month (and always) be kind and thoughtful. Share a smile, share some laughter, donate, thank someone for the jobs they do, forgive, care, love, volunteer, be there when someone needs you and the list goes on. Let's spread kindness throughout our land and among each other. We just never know what each tomorrow brings ….so make your today count. All in all, we just wanted to take this time to wish you all a healthy, happy, and safe December. Be blessed and be a blessing in all you do…. There's too much ugly in this world so keep the goodness in our hearts and lives. H A P P Y D E C E M B E R EVERYONE !!! HAVE A GREAT MONTH.